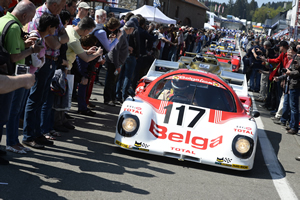 The Spa Classic, a great alternative to the Le Mans Classic offering a similar ambience and atmosphere. It is a major classic car event held every May which has become increasingly popular with Car clubs and private car owners. 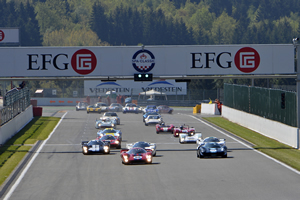 There is a good mix of classic car grids racing on the legendary 7.5km long circuit with its 15 bends in the Ardennes forest. Including 60’s endurance racing, pre 1985 touring cars, and pre 1966 touring cars. More and more car clubs are coming each year and they are undeniably a great feature of the event. There are expected to be over 1500 cars on display such as Ford, Jaguar, Triumph, MG, Datsun, Aston Martin, Maserati, Ferrari, Morgan to name but a few! There is also the opportunity to take to the track in your own classic car and be part of the Club parade laps throughout the weekend. 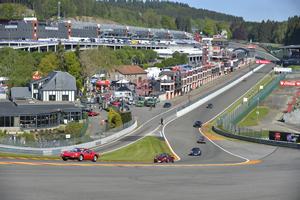 For 2019, we will have ticket only packages camping at Eau Rouge, near the Stavelot entrance of the circuit. There will also be self drive packages alvailable with a good selection of accommodation options, with more hotels to choose from, self catering chalets and camping close to the circuit. Click here for more informaiton. Below are our 2018 prices for indicative purposes (2019 Prices will be confirmed in November 2018).